Just Plane Dad and I have lived here for over 14 years so we’ve sampled many of the best places to eat. Tampa Bay is known for delicious food with origins in the Seminole Indian tribe and Spanish descendants. Our food is amazing! For Valentine’s Day, it’s customary for us to pick a beautiful, romantic spot to wine and dine each other. Hey, we’ve got a kid so fast food is pretty typical. Any chance we have to get dolled up and head out for a nice dinner; we’ll take it. The Melting Pot is romantic from start (that first dip) to finish (wine)! Picture bread, cheese, fruit and dessert all served up fondue style. The best part is feeding your spouse the chocolate dipped yummies. And sneaking a kiss during dinner tastes more delicious when paired with wine. This is truly a hands on restaurant and the four course food is outstanding. Armani’s is authentic Italian cuisine and you know what they say about Italian’s? Okay, neither do I, but they always seem so romantic in the movies. Food is delectable and the view lends itself to romance, as this restaurant is perched on the top floor of the Grand Hyatt. Eating the last bite of your hubby’s lasagna while watching the sunset together is a great way to end the evening. The Colombia Restaurant is filled with Tampa Bay’s deep history and customs of heritage. Beautiful flamenco dancers spin around as you gaze into each other’s eyes. The Spanish architecture, authentic Spanish/Cuban recipes and wine shipped in from Spain make you forget that you’re smack dab in the middle of Tampa. Have a glass of wine with your meal and fall in love all over again. Berns Steakhouse is one of those places that men can’t get enough of. Mile high steaks and an exclusive dessert room (excuse moi?) are the stuff dreams are made of. 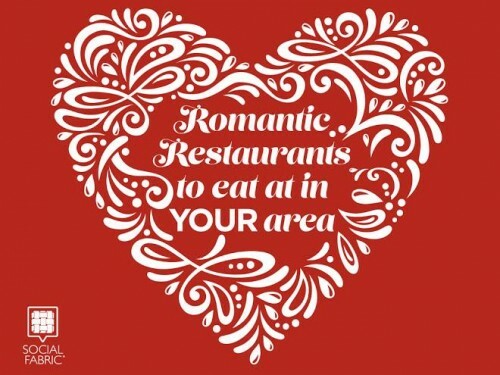 The food is out of this world; be sure to try their cheese, and the candlelight tables are definitely romantic. Don’t be surprised if your man can’t keep his eyes off his plate though…don’t worry ladies, he’s going home with you! Maritana Grille inside the Don Cesar hotel resort. You can savor their seafood right on the ocean front that it came from-doesn’t get fresher than that. Please try their lobster ravioli and sea bass. 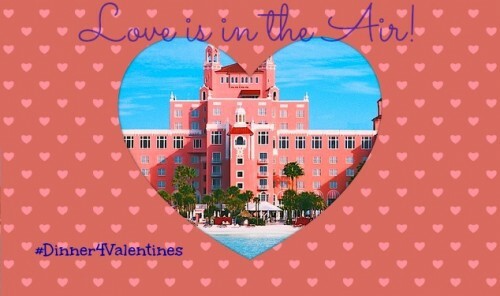 Besides that the setting is just so darn romantic, want to know why it’s our number one pick? The color. This restaurant is so darn romantic that the entire building is painted pink; the color of LOVE! Have a wonderfully romantic Valentine’s Day!